When your roof becomes damaged, the professional roofers at Arizona Roof Rescue can provide you with excellent roof repair, new roof installations, and re-roofing services for your home in Avondale. Serving all areas in Avondale including the 85392 and 85323 areas, getting your roof repaired or replaced is possible with the contractors at Arizona Roof Rescue. As a prominent suburb of Phoenix, Avondale, AZ has experienced a phase of tremendous growth since the 1980s and it is continuing to grow. Its proximity to Phoenix makes it a great place for commuters to settle down and raise their families. While the mild sunny climate is perfect for outdoors activities such as swimming, biking, golfing or hiking, continued sun exposure and the summer heat can challenge the integrity of your Avondale roof. In the years, the monsoon season is stormier and rainier than usual, it is essential that your roof is in tip top shape and in order to ensure that, you need to work with an Avondale roofing contractor you can trust. Arizona Roof Rescue in Glendale has been providing roofing services to Avondale and surrounding communities for many years. As a locally owned and family operated business, we understand the demands the Arizona climate poses on your roof and we also know how to take care of it, so it will keep you and your family dry and safe. By hiring an Avondale roofing contractor you ensure that you get the best services for your roof’s needs and have someone at hand that can follow up with any work that has been done. We are proud to be serving the Avondale community and treat every roof as if it were our own. Arizona Roof Rescue is proud to be a roofing company that cares. All of our Avondale roofing contractors are licensed, bonded and insured and have years of experience on working on a multitude of roofs all over the greater Phoenix area. We have extensive experience in working on shingle, tile, flat or foam roofs; no matter if you need Avondale roof repair services, are looking for someone to install your new roof or perform roof maintenance. We strive to offer the best and most reliable roofing service in the area. When you are looking for someone who doe roofing right, contact the roofing professionals with Arizona Roof Rescue. For a local roofing company near you who serves the areas of Avondale in the 85353, and the 85329 areas, come to Arizona Roof Rescue for excellent roof repairs. For affordable re-roofing services and excellent roofing contractors who serve the 85338 and 85339 areas of Avondale, contact the professionals at Arizona Roof Rescue. For excellent new roof installations who serve the 85340 areas of Avondale, trust the contractors at Arizona Roof Rescue to take care of your roofing installation. If you are dealing with an Avondale roof leak, our contractors will come to your home and assess the condition of your roof. Oftentimes, we will be able to fix the problem and leave you with a leak-free roof that will last you for years to come. But sometimes the roof damage is too severe to allow for mending. We will give you our honest opinion on what the best course of action is and then assist you in making the best decision for your roof and your budget. It is important that you understand when we can fix a roof and when it simply needs to be replaced. Alan Monzon, owner and operator of Arizona Roof Rescue has been roofing for well over two decades. He has a keen understanding of the modern rules of residential and commercial roofing and takes pride in his competent and experienced Avondale roofing crew. No matter if you are looking for someone to exchange the underlayment of your roofing tiles, or can help you to replace missing shingles, Alan and his team are here to help. Our experience allows us to educate our customer about their roofs and offer solutions that work and are made to last foe years. If you are in need of residential or commercial Avondale roofing services contact the roofing professionals with Arizona Roof Rescue today. We can assist you with roof inspections, maintenance, repair and reroofing services and offer great rates as well. Our commercial roof maintenance includes services such as gutter checks, flat and low slope roof sealing and 24/7 emergency roofing services. We want you to have the best roof if your life. 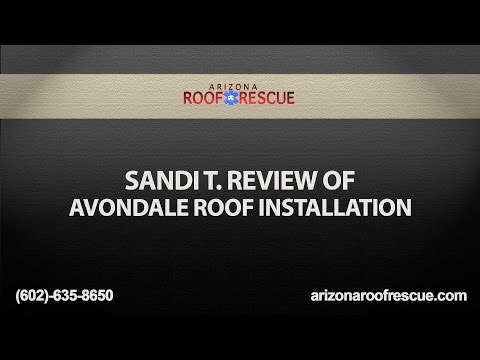 When you are looking to work with an Avondale roofing contractor you can trust, contact the professionals with Arizona Roof Rescue. We have great ratings and reviews with the ROC, the BBB and on Google. We believe strongly in honest and courteous service and in lasting relationships with our clients. If you work with us, you can be sure that you are working with the best in the Phoenix area and that we will do our best to ensure that you have the roof that fits your needs and budget. To learn more about our comprehensive Avondale roof repair services, contact us today at 602-242-2706. 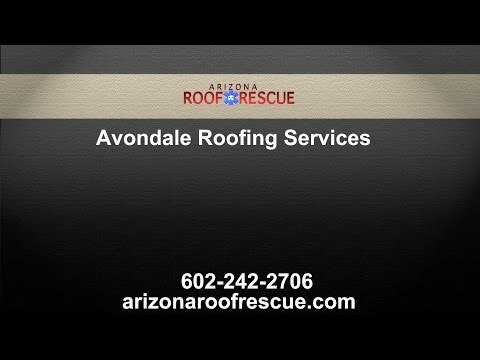 If you are in need of residential or commercial Avondale roof repair call Arizona Roof Rescue today!